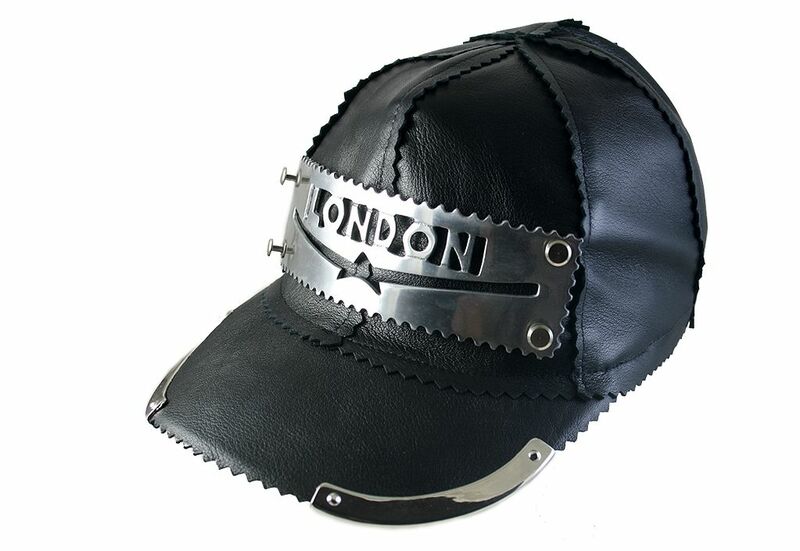 Black leather baseball cap with metal components, unusual, edgy, unique design. Suitable for club, artists, performers, rappers, video clip, styling. Material cotton base, covered with high quality genuine Italian leather. Solid cast aluminium HI TEK plate Metal bumpers. Has adjustor at the back.